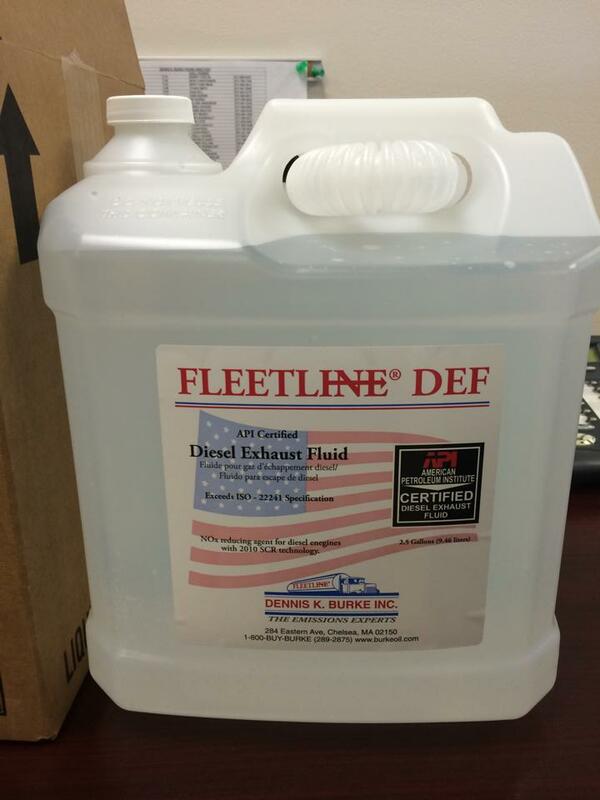 ICYMI: API Licensed Fleetline DEF is here! In case you missed it - this July we received our first shipment of our FleetlineDEF cases! This is a fully API licensed product. The cases contain two 2.5g jugs each, and are an economical choice for an ultra high spec product, like the rest of our Fleetline offerings. Diesel Engines have sure come a long way from the noisy, clunky, smelly, black smoke pumping trucks we used to see. Today's diesel engines are quiet and clean, and in the case of 2010 model year and later vehicles - they even have emissions ratings better than many of their gasoline counterparts. How did that happen? The first step was the big one - the switch to Ultra Low Sulfur Diesel dropped the sulfur content from up to 500 parts per million to a max of 15 parts per million, which improved pollution levels like crazy and got rid of the black exhaust. 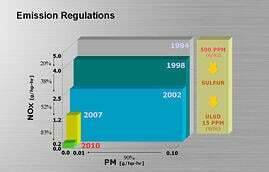 The other major shift came as a result of the EPA's 2010 policy on reducing the NOx levels in emissions to almost zero. This was accomplished with the implementation of SCR technology and the use of Diesel Exhaust Fluid (DEF) - DEF is injected into the exhaust stream and neutralizes NOx into Nitrogen and Water Vapor. Don't Forget to beat the DEF Increase! Just a reminder on beating the DEF increase coming April 1st......As you know, this is the time of year where we start seeing increases in the DEF market. 1/3 of DEF is comprised of Urea. The reason this time of year causes an uptick in DEF prices is that Urea's primary use is as fertilizer in the agricultural sector, and competition for urea reflects on the commodities market side, and that results in an increase in its cost. 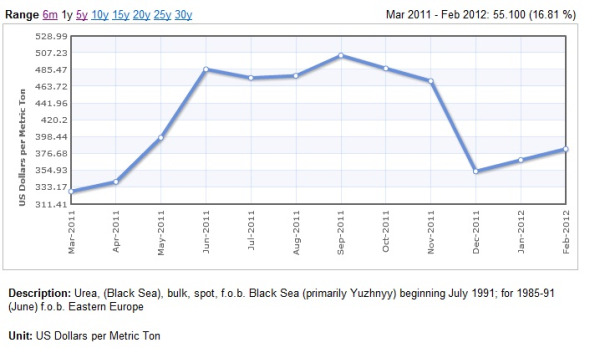 It looks like the market went up in March anywhere from $.03 to $.05/gallon. Dennis K Burke will be holding current pricing until April 1, so dont forget to get those orders in this week! I will keep you informed for April and the other upcoming months in terms of what impact the Urea market will have on your DEF pricing. If you run a fleet requiring DEF, or a shop who's customers require it, this is a great opportunity to stock up and save! Don't wait though, special pricing expires December 31st! Day to day, we get quite a few calls about Diesel Exhaust Fluid (DEF). Expanding fleets are increasing demand, and customer focus is moving from single-use containers to DEF dispensing equipment. By now, most fleet managers are familiar with DEF, a solution of high-purity urea and deionized water, and how it is used with a newer vehicle’s Selective Catalytic Reduction (SCR) equipment. Your vehicle consumes DEF at a rate of about 3% by volume to diesel consumption. Does the DEF mix with the fuel? No, it’s sprayed into the exhaust stream where it reacts with the NOx in the SCR system, then released as nitrogen and water. What DEF equipment do I need? Beyond single-use containers, we offer a full line of dispensing solutions for fleets. Does DEF have a shelf-life? Is DEF hazardous or flammable? DEF is not hazardous, toxic or flammable. Yes, DEF is corrosive to copper and brass, as well as other materials. Only approved materials listed in the ISO 22241 standards should be used with DEF. Vehicles are equipped with a dashboard DEF gauge to alert the driver on the fluid level. If the level becomes low, an alert will let the driver know that the DEF level needs to be replenished. If the driver runs out completely, the vehicle power will be reduced to encourage the operator to refill the DEF tank. Once the DEF tank is refilled, normal power levels will be restored to the vehicle. Does DEF freeze in winter? Yes, a 32.5% solution of DEF begins to freeze at 12º F. Freezing does not harm the quality of the DEF solution. After thawing, the DEF will perform as required. Why use a 32.5% solution? The 32.5% urea concentration is the lowest freezing point for water urea solutions, and SCR systems are calibrated to a 32.5% solution for optimum NOx reduction. What if the DEF in my truck freezes? If DEF freezes when the truck is shut down, start up and normal operation of the vehicle is not inhibited. The SCR heating system is designed to quickly return the DEF to a liquid, and operation of the vehicle is not affected. For more info on DEF, or help in choosing the right dispensing equipment for your growing fleet, give us a call. You've got questions? We've got LIVE answers! "Dial 3 to place an order..." Doesnt that drive you crazy? Dennis K Burke has always, and will continue to seperate ourselves from our competition. One way we do this is with our customer service staff - Call 1-800-BUY-BURKE any time and you will ALWAYS get a friendly, live voice on the other end of the line. How many times do you call places and it takes numerous prompts, numerous number selections, just to speak to someone? Not here. Every call is picked up by the third ring by a trained staff member. We are a knowlegeable and dedicated staff. Let us assist you in placing an order, answering your fuel or lubricant questions, explaining company programs, discussing market trends - any information you need is readily available. The new lube product on display for July is Diesel Exhaust Fluid, or DEF.